Hutton + Rostron (H+R) have been involved with assessing the condition and repairs to the recently built ‘timber cassette’ roof structure since 2014. The issues experienced may have been a result of defects in the design or construction of the roof. Sensors were installed in the structure by H+R to monitor the moisture content within the timbers. H+R undertook regular servicing of the sensors to ensure accurate data collection. H+R surveyors employed rope access to service the sensors as it would have been an inefficient use of money and time to erect scaffolding as access was only necessary for short periods. 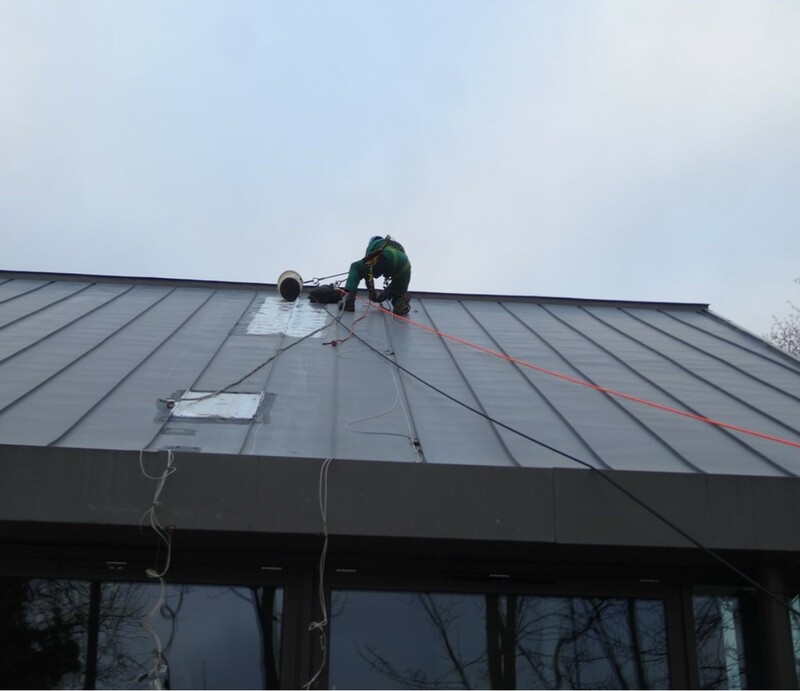 Data from the sensors was collected throughout the year so the results would give a representative overview of the roof moisture contents in all weather and temperatures conditions. Following the repairs carried out as recommended by H+R, such as removing and replacing all areas of corroded roof finishes, the moisture readings are now found to be within the ‘normal’ range expected of roof timbers.